DJ WINNER has been throwing and playing parties for nearly 2 decades now. 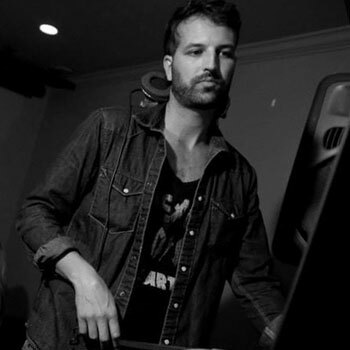 His fun mix of funky french-flavored house, indie, disco and old school make his sets unique and always danceable. DJ WINNER began his career as a house DJ during the late 90’s rave scene in Santa Barbara, CA. As a member of both the 12 Monkeys and For The People crews, Winner and gang were instrumental in fostering a long-time electronic dance music scene in both Southern and Northern California. The most notable weekly party that WINNER was a resident for was The Zoo, which is still to this day SB’s longest running electronic dance music event. Featuring some of the biggest names of that time including DJ Dan, Doc Martin, Mark Farina, Donald Glaude, Marques Wyatt, Jeno, Garth, Sandra Collins, Christopher Lawrence and many more, The Zoo was an exciting place where WINNER was able to develop his now signature sound while opening for some of the greatest talents of that era. In 2007, WINNER went on to start his own production company which culminated in the creation of BANG BANG, a cutting-edge weekly event focused on the more indie sounds he had grown to love in conjunction with exhibitions of art, fashion and other multi-media projects. In 2008, Winner took BANG BANG to LA and San Francisco as well as other cities where he began to develop a larger following. The event was a major success, spawning many copycats that continue to thrive in California today. In 2014 WINNER joined forces with Traveler to start Outside In Records which spawned into the artist collective and event company, Outside In Movement. WINNER plays out regularly and is available for bookings world-wide.